The Yorke Peninsula is a great place to work and live. With a variety of sea side towns, service centres and farming communities there is a wide range of lifestyles on offer. Come and live year round in a place other people visit on holiday. 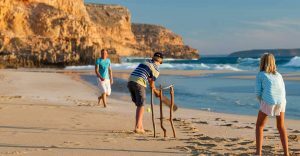 Why not consider living in one of South Australia’s favourite family holiday destinations.